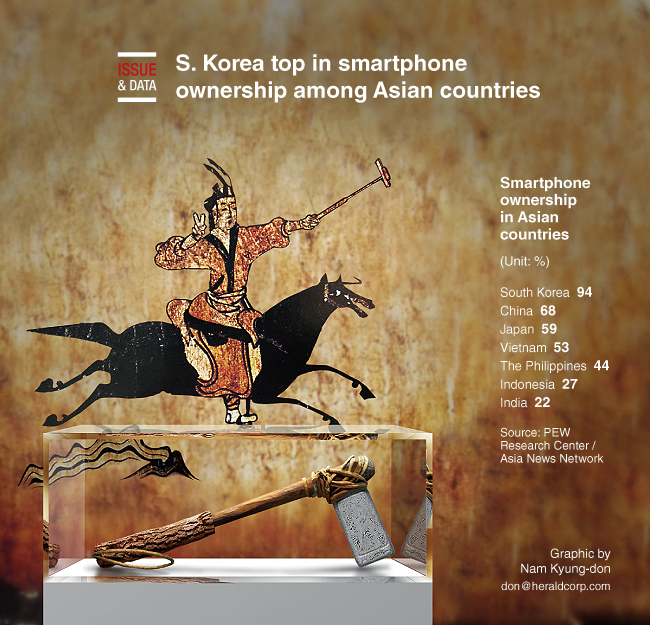 South Korea tops Asian countries in terms of smartphone ownership, with 94 percent of its citizens owning smartphones, according to the PEW Research Center. The corresponding figure for China stands at 68 percent and Japan 59 percent. “Despite the increasing levels of smartphone use, ownership still lags in India, Indonesia and Africa,” said the research center in a report. PEW also found that 64 percent of South Koreans are active on social media. China follows closely behind with 60 percent, Vietnam with 53 percent and the Philippines at 49 percent. India lagged behind with 20 percent.